It all began in the 1970's when Connie Carroll spied a tall, long haired lass waltzing down the street in an elegantly beautiful 1950's princess coat. She became a constant presence at thrift stores, scooping up peach silk nightgowns and raspberry tap pants from the 1930's, beaded 40's gowns, 50's bowling shirts and skinny ties — all for a song. She started out hosting yard sales to share her wealth of fabulous finds. 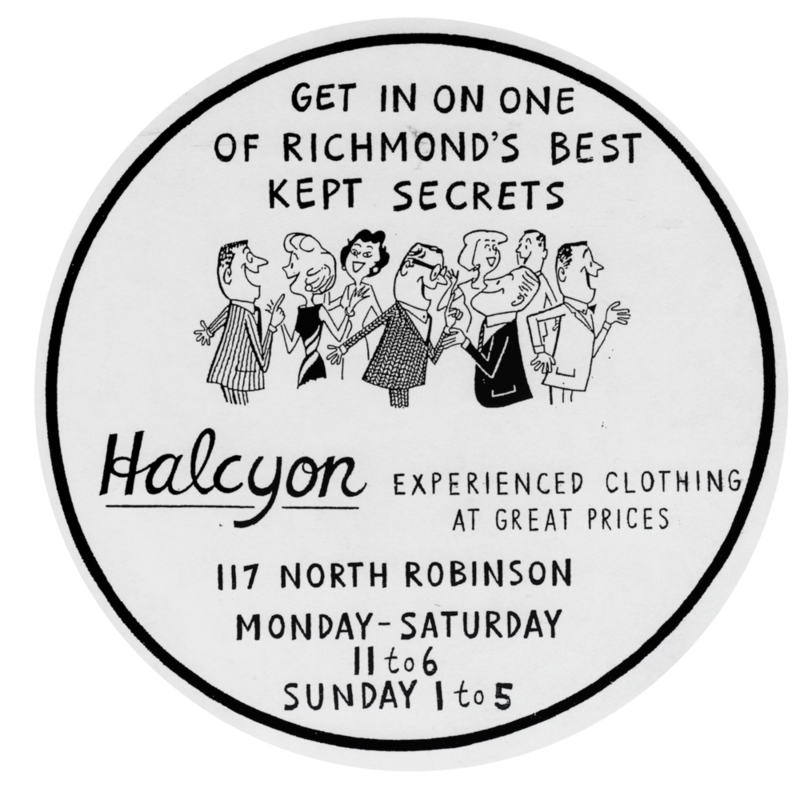 Then in 1983, she found a little shop on a side street near the art museum in Richmond and a month later, Halcyon was born! After more than 30 years in the business, Connie was ready to retire. It was time to find a new owner for Halcyon. As word got out, Didi Chisholm, who had at one time been a picker for the shop, expressed an interest. She started working at the shop and together, Connie and Didi went about making the transition. Didi first fell in love with vintage clothing in her teens after discovering it at antique and thrift shops around the Boston area where she grew up. At first, buying pieces for herself was a way to express her individual style. After moving to Richmond, she realized she had an eye for finding vintage, and soon started selling to shops. She moved on to flea markets, garage sales, an antique mall, and eventually her own brick and mortar shops. Her first shop, Heliotrope, was a tiny space she shared with an acquaintance in the business. After a couple of years there, she met a gal who had just opened a vintage shop down the street. They became fast friends and soon after, her new pal, Meredith, invited her to join forces and become a partner at Urban Artifacts. After 10 years, Urban Artifacts closed but Didi continued to sell vintage and revisited her other passion, jewelry making, selling both online, at shows and again in a local antique mall. However, all the while, she missed the personal connection of the brick and mortar store. So, when Connie wanted to retire, Didi jumped at the chance to be Halcyon's next steward. As they say...the rest is history! Sign up for our emails to be the first to find out about sales and special events.